It took me quite some time to get it to work, so I thought it would be useful to document the setup in case I would ever have to redo it. And of course, maybe it can help others that want to setup the same configuration. 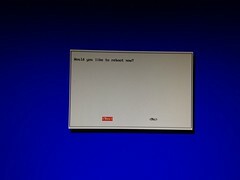 Note that I have very little Linux knowledge, I’m just using what others have created, so there are going to be plenty of questions for other configurations that I do not know the answer to. I have written the post in English because I figured it would be more accessible that way, but keep in mind that the setup focuses on my specific situation. If you can read Dutch, you can also read more about the setup here. Also, I am assuming you are a Windows user when describing the setup. Last March a total of 8 solar panels got installed on the roof of my house as part of a group-buy project called “Zon Zoekt Dak” (Sun in Search of a Roof). Great, but how was I going to be able to tell how much electricity was being produced? Sure, I could go up to the attic every day and look on the inverter, but that was not what I wanted. I wanted to be able to see a nice graph of the production and history on my iPad of PC. 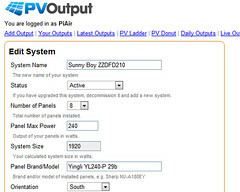 There are a number of online sites that offer that functionality, one of them is PVOutput.org, but how would I be able to get the data from my inverter to the website? Without that you won’t be able to read the data using the Raspberry Pi. You may have an inverter that does come with build in Bluetooth, then you are in luck and don’t have to install extra hardware. The Raspberry Pi is a tiny computerboard that you can buy and have shipped to you from the UK. You can buy the Raspberry Pi through Premier Farnell/Element 14 and RS Components. You won’t get it shipped overnight though, currently it takes about 15 weeks (!) due to the high demand for this tiny computer. You will probably want a case, you need a power supply (micro-USB), and a SD-card to store the OS on. All in all, it costed me €84,02 including the Tesco ‘Technika’ Nano Bluetooth Adaptor (I happened to be at Tesco’s this summer). If you live in the Netherlands, you won’t be able to order that Bluetooth Adapter, see this list for other verified working adapters. 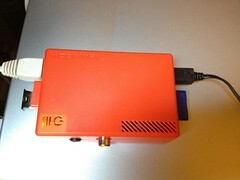 The Raspberry Pi is small, energy efficient, and after the initial setup it does not need a keyboard, mouse or monitor. The download links are on the right hand side of the page, you want the binary zip. Extract the executable from the zip file and run the Win32DiskImager utility. You may need to run the utility as Administrator (right click on it and choose Run as administrator). Insert the card in the Raspberry Pi. 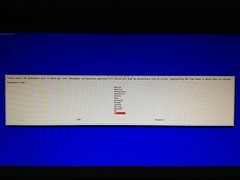 Connect the Raspberry Pi to a screen using HDMI, connect a USB-keyboard (don’t need a mouse) and connect a power source. 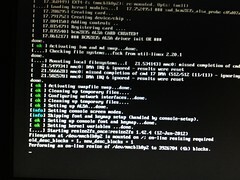 The Raspberry Pi will boot now. Select “Expand_rootfs” so that the complete SD-card will be used. Resizing is going to take some time, so have some tea. 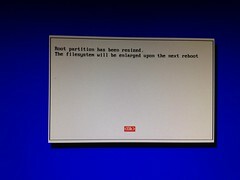 As soon as you see the Raspberry Pi logon screen, you can disconnect the keyboard and monitor. Connect a network cable to connect the Raspberry Pi to you network. You can also plugin the Bluetooth adapter. We will use Putty to get a command prompt and WinSCP to upload en download files to the Raspberry Pi. If you only have one Raspberry Pi connected to the network, you can simply use the machine name to connect to the Raspberry Pi. If you have multiple devices, disconnect the others for now, so you can connect to the one that you are setting ups. Make a note of the Bluetooth address of the piggyback. Now it is time to install the prerequisites of SMA-bluetooth, the source and to compile the application. During the install you will be asked to set a password for the MySQL server. Make sure you store it somewhere! Now you can edit the file using nano or vi, but I prefer Notepad++, so that is why I connect to the Raspberry Pi using WinSCP using the pi-account and then edit the file from there. Lookup your latitude and longitude on this map: http://www.gorissen.info/Pierre/maps/ and enter them. Adding this makes sure that the Raspberry Pi only tries to connect to the inverter when it is actually operational, meaning when the sun is up. Update smatool.conf with the new username and password. If you just want to download a copy of my smatool.c that is also possible. I understand there are a lot of problems concerning Date Errors. I don’t understand the nature of them completely, but I understand that by default, when a Data Error occurs, nothing gets stored in the database. Even though in my case, often completely valid data is restored. So that is why I removed the check. That didn’t completely solve the problem, because now also some bad data was stored in the database from time to time. I solved that by removing that data every time when the application was run again. // Gor - Remove illegal values first! While we are editing smatool.c we can also make the final edit. The Sunny Boy 1600TL invertor starts logging data at different times each morning. The first value for each day is not 00:00 (midnight), but could be any time between 6AM-7AM. The current code relies on 00:00 being the first entry for a day. It should be in the file in 3 different locations. Now, there might be some weird dates that get inserted into the database, but don’t worry, they will be removed again during the next run and PVOutput simple will ignore them. Depending on how long the Bluetooth piggyback was already installed before you are doing this setup, you need some extra changes to the database. Because PVOutput does not accept data older than 30 days, and if you have data older than that, you won’t be able to upload the new data without these changes. If you get an empty set, you can close MySQL, otherwise you have to update the “NULL” value for PVOutput so that smatool no longer tries to upload those data to PVOutput. Another problem is that sometimes there are rows with a higher value for CurrentPower than is possible for your inverter / panels. For example, I have 8 panels with a panel max power of 240Watts. PVOutput then calculates the System Size as 1920Watts and won’t accept any values higher than that. Worse: if smatool tries to batch upload data and one of the records has a value higher than 1920, it will simply not add any of the records in the batch. You should of course replace 1920 with the System Size of your system. Goto the PVOutput website, create an account and add your device. 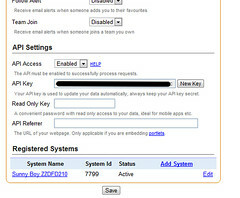 Enter the API-key for your account into PVOutputKey and the system ID in PVOutput. Note: it may be that you have to rerun the tool a number of times before the first data is uploaded. As mentioned before, the inverter sometimes returns bogus data and PVOutput won’t accept that. This is not a problem since we will be setting the cron job so that this is done every 5 minute. Also, the first time it could take quite some time to upload all the data to PVOutput, depending on the amount of records that needs to be uploaded. All that remains now is to setup a cronjob so that the smatool is run every 5 minutes. Upload the file to the sma-bluetooth folder and set the execution rights. Check that it runs without an error. Keep an eye on PVOutput during the day. You should see the values being updated. 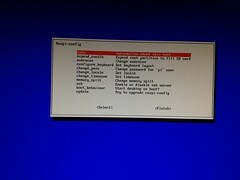 A next step would be to make the Raspberry Pi send you an e-mail with an image of the daily production every evening when the inverter shuts down. See these instructions for that. The instructions also explain how to automatically get PVOutput to retrieve and store the current temperature alongside the inverter readings.